The Tom Ford Limited Edition Lip and Nail Box for Holiday 2014 is truly the ultimate in high end splurging! 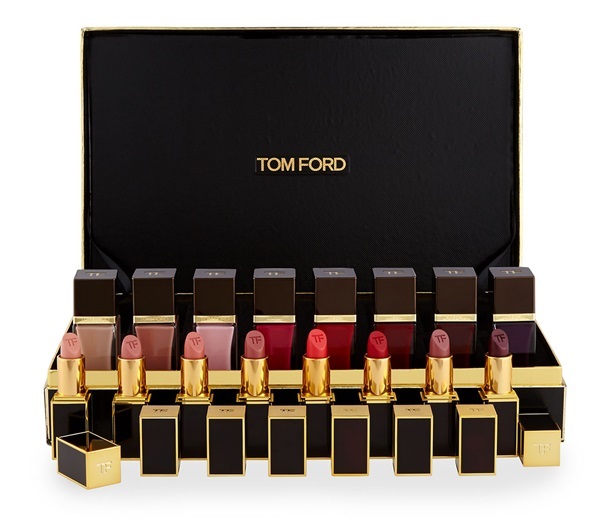 This complete lip and nail beauty wardrobe includes 8 Tom Ford Lip Colors and 8 Tom Ford Nail Colors! The Tom Ford Limited Edition Lip and Nail Box for Holiday 2014 is available online here!